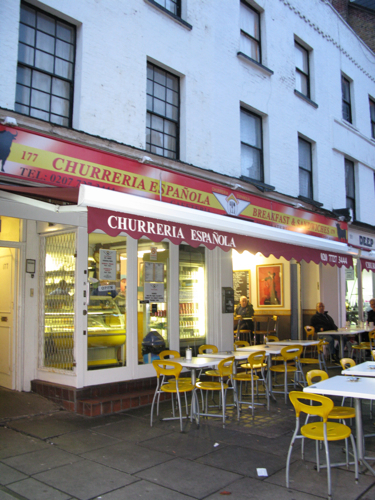 This neighbourhood gem at the top of Queensway is a little corner of Spain away from Spain. You will find a small selection of Spanish staples from Paella to home-made stews to your usual tapas on offer, all chalked up on the daily specials board. 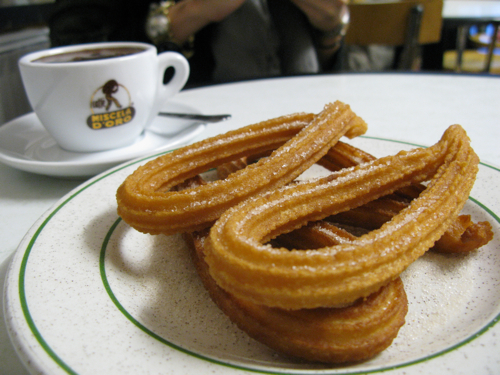 But as its namesake suggests, theres one reason why this caff remains a firm favourite with Bayswater locals… the Churros. And you get proper Churros con Chocolate here, i.e. irresistible deep-fried curls of dough, dusted down with sugar, cinnamon and served with the super-thick hot chocolate kind. And at a mere 30p per Churro, its a real steal. You won’t find a better use for 30 of your English pennies anywhere else throughout the country. Kavey: I get that feeling everytime I’m in the Bayswater/Queensway area. Must have had 5 or 6 myself the last time I was there. Tx for stopping by.